The flag of the Holy Orthodox Order of Saint George the Great Martyr consists of three equal horizontal bands of crimson (top), green (middle) and white (bottom). The color crimson symbolizes the sacrificial blood of Christ and the innocent shed blood of the Holy Martyrs. The color green symbolizes Holy Pentecost while the color white symbolizes the peace and purity of the Holy Orthodox Christian faith. Superimposed in the center of the flag is the lesser coat of arms of the Order of Saint George. 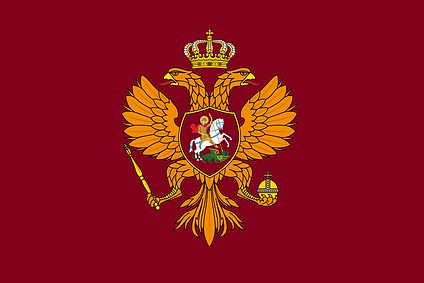 The flag of the Sovereign Knight consists of a burgundy field. Like the flag of the Order, the crimson color symbolizes the sacrificial blood of Christ and the innocent shed blood of the Holy Martyrs. This color is also to remind the Sovereign Knight of sacrifices he might have to endure as sovereign head of the Order. Superimposed in the center of the flag is the lesser coat of arms of the Order of Saint George. 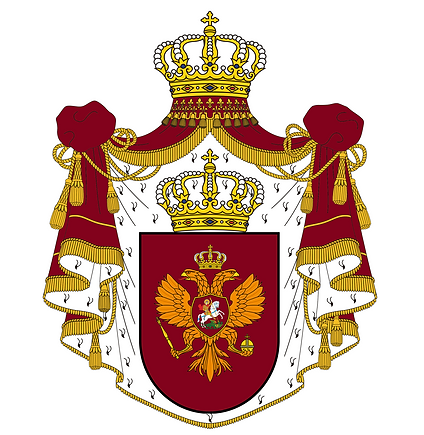 The coat of arms of the Holy Orthodox Order of Saint George the Great Martyr consists of a crowned, golden, double-headed eagle on a crowned crimson shield. Clutched in its right claw is a royal scepter and in the left claw a royal orb. 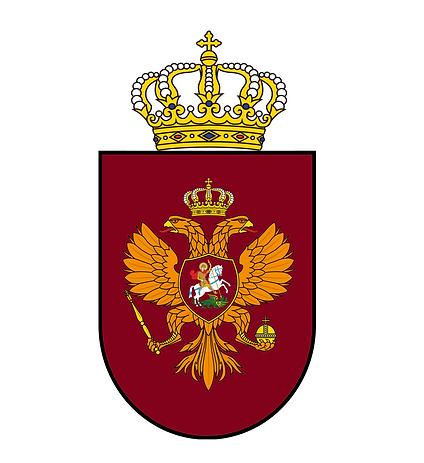 Superimposed on the breast of the double-headed eagle is a crimson shield depicting an image of Saint George the Great Martyr in full Roman armor wearing a flowing red cape, riding a horse in full gallop treading upon a spear-pierced dragon. The center crest rests upon an ermine, fur-fringed mantle, tasseled and mounted by a heraldic royal crown. The ermine-lined mantle, the royal scepter, the orb and the crown represent the kingship and royal dignity of Jesus Christ. 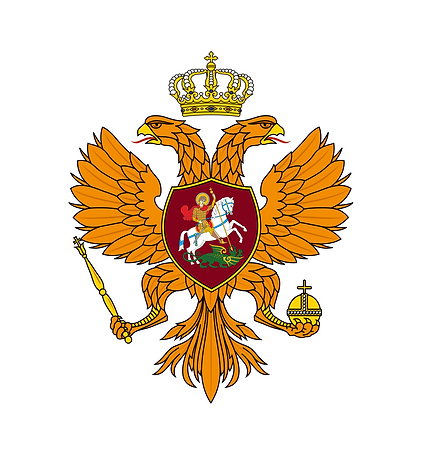 The double-headed eagle symbolizes the international scope of the Order and the universality of the Holy Orthodox Christian faith.